Resetting your MINI Cooper Tire Pressure Monitoring System (TPMS) is a fairly simple and basic process. However, the steps differ slightly, depending on the year and make of your car. 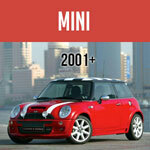 Follow the simple steps outlined in this article specifically created for your MINI Cooper or Cooper S make and model. Looking for a Spare Tire for your MINI Cooper? 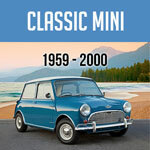 At Mini Mania, we have a wide selection - one of which is bound to fit your needs. Hi gang, its Brendan from Mini Mania, and today's video is just a reminder that Mini Mania sells spare tires. So, for those of you who had run flats on your car or you've maybe swapped over the run flats to the standard wheel and tires, we sell the spare tires that you don't have. They're available these are original BMW Steel's, they are mounted and balanced. So this would be like an OEM factory type replacement. We even have carrying bags so you know that you can get for your spares and you can throw them and right in the back of your hatchback. And they're available in all of the various bolt patterns and sizes for all generations of the new mini. So, if you need one of these, you can go to our website and just type in spare tire in the search term on the new mini site. And that way, for those of you who don't have a factory spare, you no longer have to rely on a can of fix-a-flat or a wrecker to get you to your location and your destination just because you've got a flat tire. Click the link to find a complete line of Spare Tires and Accessories for your MINI Cooper. NOTE: Since posting this video, we've seen a lot of inquires on our mini mania forum about "Do mini coopers have spare tires?" and "Where is the BMW/MINI Cooper spare tire located?" As for where is your spare tire, - For regular BMW Mini Coopers the spare tire is located hanging underneath the rear of the car. You can access it by opening your trunk and using the tire tools that come with your MINI, lower the tire from the inside of your trunk. LOOKING FOR A COMPLETE SPARE TIRE KIT? For all of our Spare Tires, Tire Tool kits and Storage Bags - CLICK HERE.